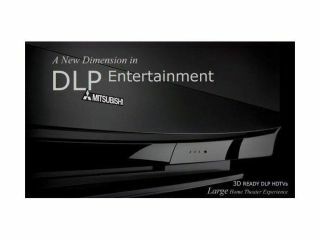 Mitsubishi is set to release a range of 3D TVs, utilising 3D technology that was last seen in the cinema. The 3D TVs will be launched later this year and feature stereoscopic displays, used in conjunction with circularly polarised glasses to create the 3D effect. This is the type of technology used in IMAX cinemas, for films such as U23D being filmed in this manner. Watching the films will still entail having to wear 3D glasses but it is a far cry from anaglyph displays, which were, quite frankly, rubbish. The 3D TV plasma screens will be available in three rather large sizes – 73-inch, 65-inch and 60-inch – and will be equipped with the ability to show 3D PC games. This is due to a partnership with Nvidia, that will enable the TV to give DirectX games a 3D effect. Speaking about the upcoming launch, David Naranjo, director of product development, Mitsubishi Digital Electronics America, said: "Mitsubishi - a leader in large screen HDTV, NVIDIA, a major force in the entertainment graphics market - and Aspen Media Products, an innovator in media server technology, have each developed unique technologies that take us to the next level in realising the dream of 3D home entertainment. "By combining the strengths of these three market leading companies, 3D in the home is now ready to become an exciting reality." So far, the only movie shown to work on the screen is Star Wars: Episode II – Attack Of The Clones. But you can expect more titles to be revealed closer to the 3D TV's US launch later in the year.